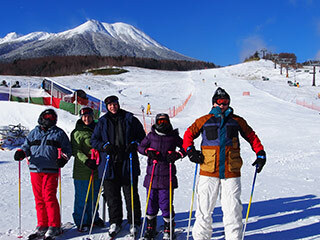 MIA Club (マイア倶楽部) is a simple hotel located right next to MIA Ski resort, Kiso Nagano Prefecture. This hotel is a part of the Ski resort. Therefore, you will have great discount lift tickets. Other day is 1,000 JPY cheaper. Other Day for plan2: 9,500 JPY for adult, 8,200 JPY for kids. No towels, soap or dryers.